When it comes to buying or selling real estate in the United States, the process is pretty well established these days. There are universal financing options, deed recordings, and even the way we define owning real estate has become pretty systematic. The current system works so well that it’s hard to imagine it was ever any different. But the truth is, just a few short centuries ago, the real estate industry was nothing like today. For decades after the pilgrims landed on Plymouth Rock in 1620, there was no buying or selling of real estate. For the most part, new arrivals in the New World simply picked out a plot of land and “claimed it” as their own. Some wealthy individuals were actually granted large parcels of land by the king of England. William Penn, for example, was given what is today Pennsylvania and Delaware by the king to settle a debt. But aside from these grants, most people in the 1600’s acquired their land simply by deciding it was theirs. Even when land rights were officially created in the colonies by the late 1600s, there still wasn’t much demand. Most people just didn’t see any value in buying developed land when they could simply “claim” parcels of their own a couple miles away, FOR FREE! By the 1700’s the United States saw the emergence of “Land Jobbers.” At the time Land Jobbers would acquire smaller parcels of land to package together and sell to farmers or real estate speculators. Buying and selling of small parcels of land was particularly difficult back then because of a lack of credible title. 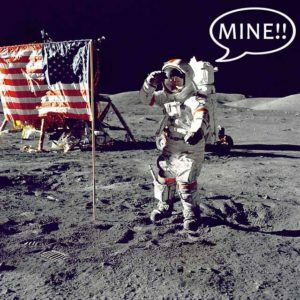 In many cases it was difficult to discern who, if anyone, actually owned a piece of property. Unscrupulous land jobbers would even use this to their advantage, by selling property that they never actually owned. George Washington actually complained about this very issue in 1784. He had gone to see a parcel of land he acquired before his presidency, but was met by what he called “squatters,” who claimed that they were the rightful owners of his land. He was also shocked to learn that pieces of his land were currently listed for sale by land jobbers in Philadelphia and Europe. 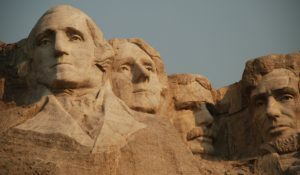 Interesting fact – George Washington’s vast wealth was primarily in real estate. He held a 52,000 acre claim in the Appalachian mountains, which today would be worth an estimated $525 million. As time went on, the rules and processes involved in U.S. real estate evolved and improved. Eventually the United States grew to the size that it is today, and every last piece of real estate is now owned by somebody or something; be it a person, company, government, organization, tribe, or national park. 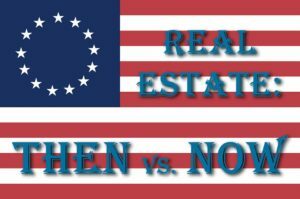 Posted in Real Estate and tagged 1600's, 1700's, claiming land, george washington, george washington real estate, history of real estate, history of title in real estate, land jobbers, real estate, title, william penn real estate.